Have you ever watched a design show or opened up a magazine and been envious of its effortless style? Contrary to popular belief having a swanky-looking pad is not at all hard, and does require an unlimited budget, or a top-dollar designer for that matter. 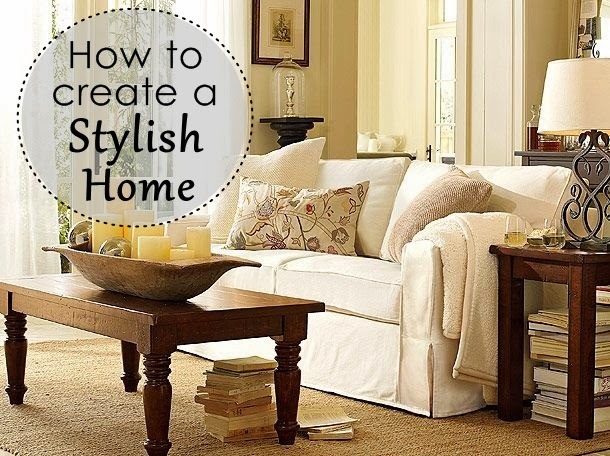 Having a stylish home is about reflecting your personal style, and adding creative touches to achieve a desired look. Here are few key points to keep in mind when designing a chic home. Having come for a design background, I can tell you that the single most important thing to remember is to keep your home functional and livable. Having White Carrara marble might seem like a great selection – but maybe not so great when you realize how easily it stains, especially with red wine or coffee. The same goes with choosing fabrics. Make sure you choose something that works for your family, lifestyle, and/or pets, so you won’t have to regret your purchase later. Another key to achieving a chic home is to pay attention to details – meaning accessories. Sometimes the simple placement of items is all you need to transform a room. Remember you can always pull items from different places in your home and refurbish them in a whole new way. This tip will not only save you time, but money as well. Everyone deserves a space in their home that feels like a retreat. Whether it’s a master bedroom, a culinary kitchen, or a bathroom oasis, creating a space that feels good is an essential part of creating a stylish home. Just as important is adding those special touches. For example, adding a mixer shower from Mira Showers to your bathroom can create a spa-like experience in your very own home! Mira Showers pride themselves in perfecting the perfect shower, so imagine how it would feel like to have your very own sanctuary every time you bathe?! These are details you should think about when creating your home retreat. Don’t be afraid of color when it comes to your home. Adding a pop of color on the walls or patterned pillows will not only brighten up your home, but also give it personality, and make it “you”. Never underestimate the power a simple paint can or bed linens. That’s what will set your home apart and make it unique. Just because people walk all over them, does not mean that you should overlook your floors. Changing your flooring is one of the biggest impacts you can make in a space. Even if you can’t rip up your current carpet and install hardwood floors, simply adding an area rug will open up the room and pull the whole area together. These are just a few tips to keep in mind when designing a stylish space. Remember to add your personality and flair, and most importantly make it place you would be proud to call home.